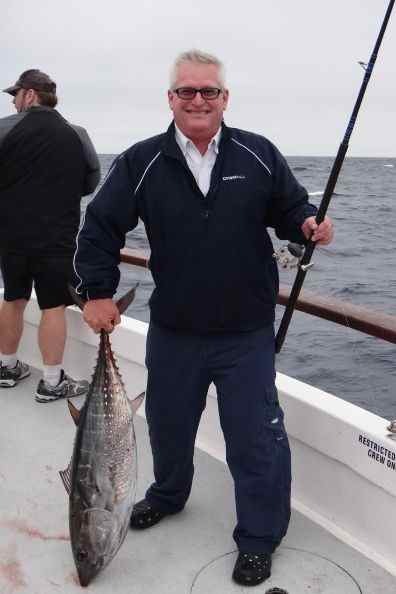 "We had a fantastic day of yellowfin tuna fishing," reported Andy Cates for Red Rooster III July 24. "Classic in the corner, biting everything that hit the water-type fishing. Topwater lures, Surface poppers, skip jigs, you name it, it was bit. 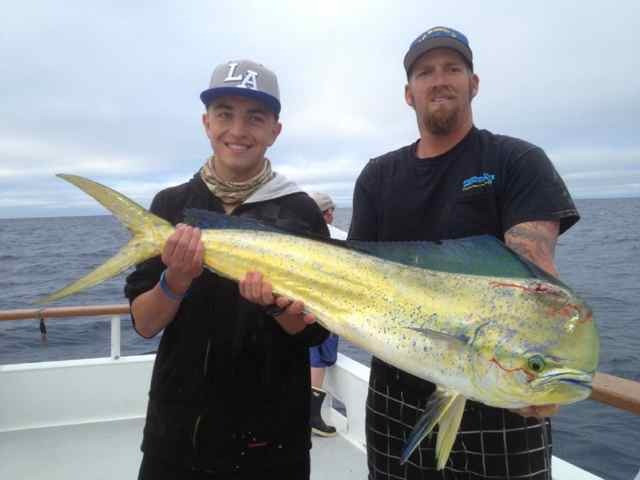 Nice grade of fish, 20 to 30-pounders, bread and butter fish. Yellowfin have shown up in numbers and hopefully (will be) here for a while. Tomorrow we are headed up the line in hopes of yellows and maybe a few Bluefin." The Searcher had quite a problem, "The fish wouldn't quit biting"
• Is this the Best-Ever Bluefin Year?